Dhaka, Dec 13 (Just News): The High Court on Wednesday asked owner of the Niramoy Private Clinic and fake physician Razan Das of Patuakhali, who left gauze inside a woman's abdomen, to pay the victim Tk nine lakh as compensation. A bench of Justice Salma Masud Chowdhury and Justice AKM Jahirul Haque passed the order after hearing a plea filed by victim Maksuda Begum seeking compensation. Of the compensation money, owner of the Niramoy Private Clinic will have to pay Tk four lakh and Arjun Chakrabarty alias Razn Das will have to pay the rest of the money within January 15, 2018, the court said. The civil surgeon of the Patuakhali was asked to oversee the matter. The court, later, set February 28 for next hearing in the case. On December 11, the HC sent fake physician of Patuakhali Razan Das, who left gauze inside a woman's abdomen during her cesarean surgery at a private hospital, to jail after he surrendered before it. The court also asked authorities concerned to sue owner of the Niramoy Private Clinic, nurse and assistant of the fake doctor. 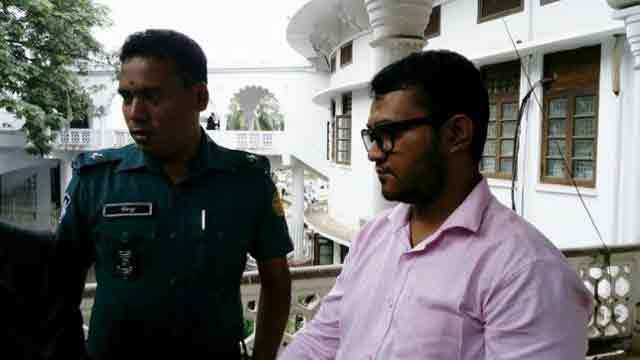 On November 16, the High Court directed the officer-in-charge of Baufal Police Station in Patuakhali to arrest the fake doctor and produce him before it within December 10. The court also asked the Patuakhali police to take help of Rapid Action Battalion (Rab) if necessary. Earlier on July 23, the same bench summoned three people, including Patuakhali civil surgeon and gynecology department head of Barisal Medical College, in this connection. Supreme Court lawyer Md Shahid Ullah drew the attention of the HC placing a newspaper report in this regard on July 22. On November 6, the Patuakhali civil surgeon submitted a probe report to the court stating that Razan Das had been using fake certificate of doctor. He conducted a cesarean surgery on a pregnant woman in Niramoy Private Clinic in Patuakhali and left gauze inside her abdomen in May. Victim Maksuda Begum, 25, gave birth to a baby girl but her physical condition started to deteriorate after two months. On July 12, the doctors of Sher-e-Bangla Medical College and Hospital detected the gauze inside her abdomen and removed it by another surgery.